We know the next-gen G20 BMW 3 Series is currently on its way and we’re going to see it this year. However, the more exciting news is the BMW M3 that will follow it. Internally dubbed the G80, this next M3 is going to be very, very interesting. Mostly because there are a lot of unknowns and a few different ways BMW can play it. This new BMW M3 was just caught testing at the Nurburgring and, unfortunately, there aren’t really any cues as to what it might be like. 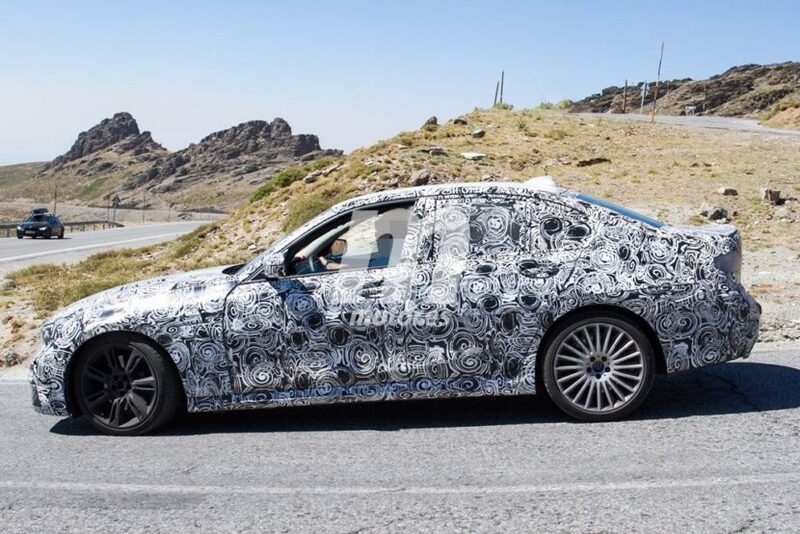 Seen in these photos (which we don’t own but can be seen here), there’s very little to make out of the M3 test mule. Although, we can tell it’s an M3 by the fact that it’s a bit lower than the standard car, has more aggressive body work, such as a low side skirt and large front air intakes, and has quite massive brakes. It’s also riding on large wheels, the rear of which seem to be pulled from the BMW M5. There also seem to be two cutouts for exhausts at the rear, which would indicate the quad exhaust setup of all M cars. Aside from that, there’s really not much to learn here. Although, rumors of a plug-in hybrid variant might be squashed due to the seeming lack of front charge port on this tester. So it’s likely not going to have plug-in hybrid but it could be a MHEV (Mild Hybrid Electric Vehicle), with a battery-alternator starter and a 48-volt electrical subsystem, like Mercedes-Benz and Audi are doing lately. There’s also the rumor that it will have a water-injection system like the M4 GTS. To be honest, I hope that’s not the case. That seems like a lazy way to make the extra power needed to compete with its new rivals and it also seems unnecessarily complicated and unreliable. Personally, I’m hoping that BMW M develops an all-new bespoke twin-turbocharged inline-six; one that’s belt-less, MHEV and more exotic than the current engine. Hopefully it will sound better soon.